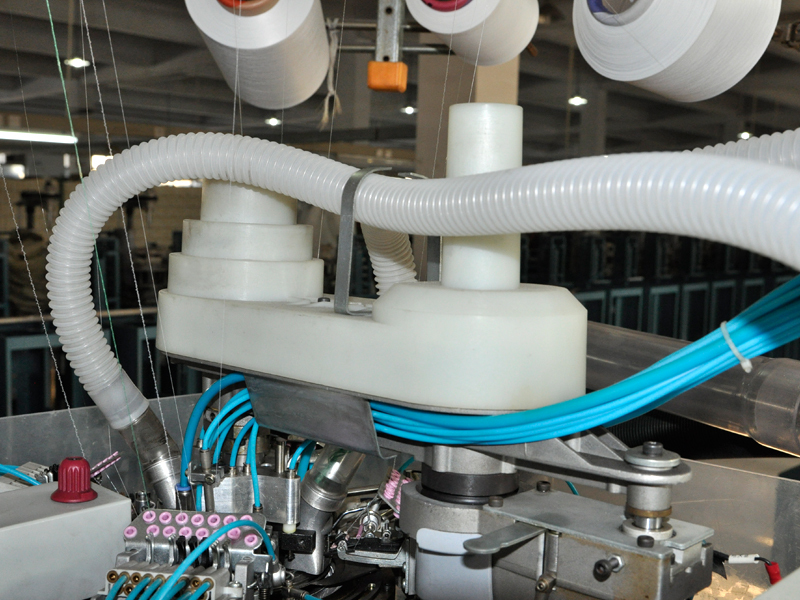 Hanxiang "HX" brand H10/12-400 type stockings machine is controlled by a computer system with a single cylinder four-woven plain weave silk stockings machine. 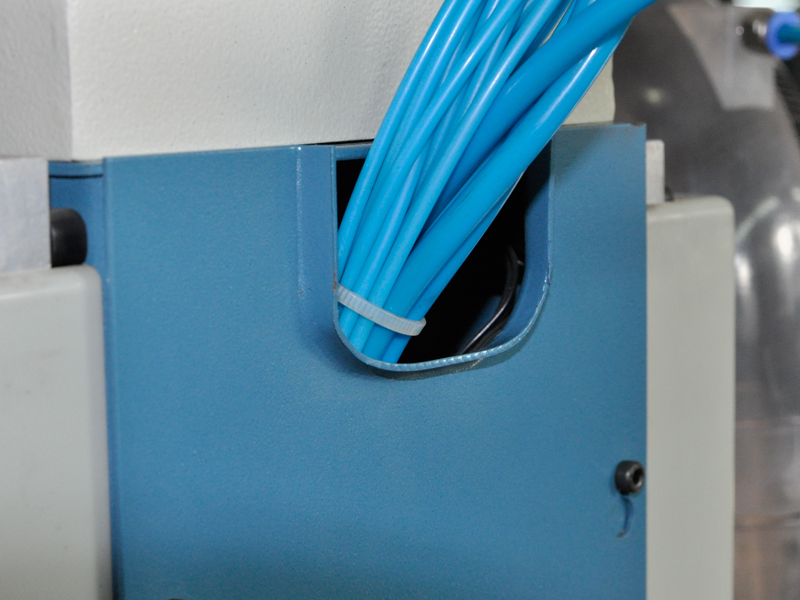 It adopts an indepcndent exhaust fan or central exhaust system fabric stetch, the machine is equipped with torsion device. 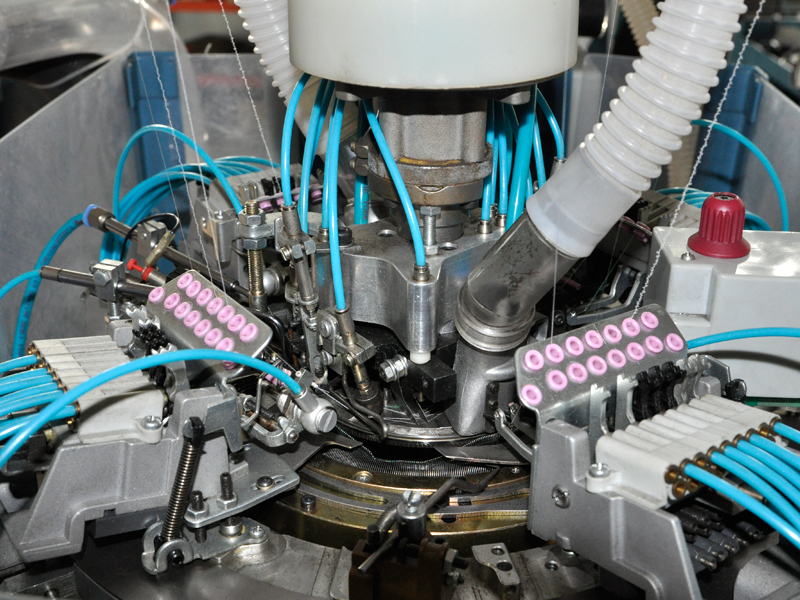 Needle rotation scrvo motor direct drive to reduce the transmission chain and transmission error, needle lift by the stepper motor control can have a different density, pressure lubricant for lubrication of needles, life and death and the election needle pieces. 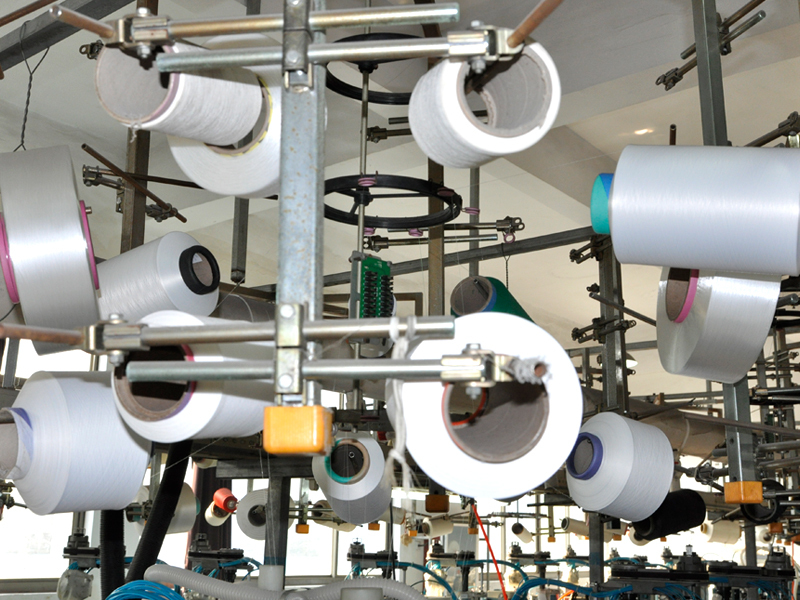 Computcr-controlled production of socks, the whole process, stylc and quality, The machine can use synthetic fibers, syntbctic fibers and bare spandex covered yarn and other raw matcrials to produce stockings and products, including pantyhose, long stocking, short socks, stockings and other nine points stockings product. 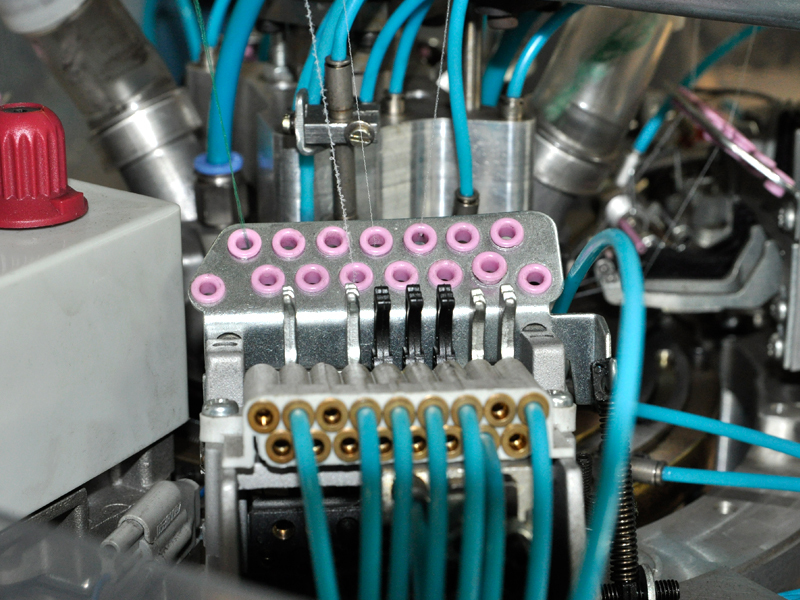 Needles&needle selectors: 192-480N,the second and forth braided lines use the eighth-grade pneumatic to select needle;the first and third braided lines use the 16th-grade pneumatic to select needle. 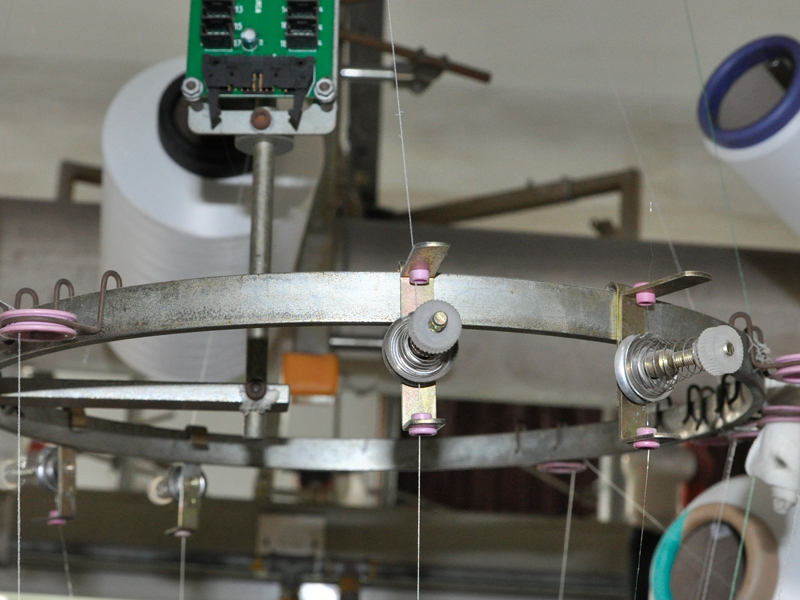 Weaving system: different choice of elastic ribbon or be tabby 1*1,3*1 fixed meshes when all textile needles working, T-shape crotch secured with 1*1, each elastic ribbon can made in full wave state. 1 Chinese and English display, large LCD display shows both character and figure. 2 Capacity of memory is 1M, can store many patterns. 3 Can input 2 patterns and 2 program files. 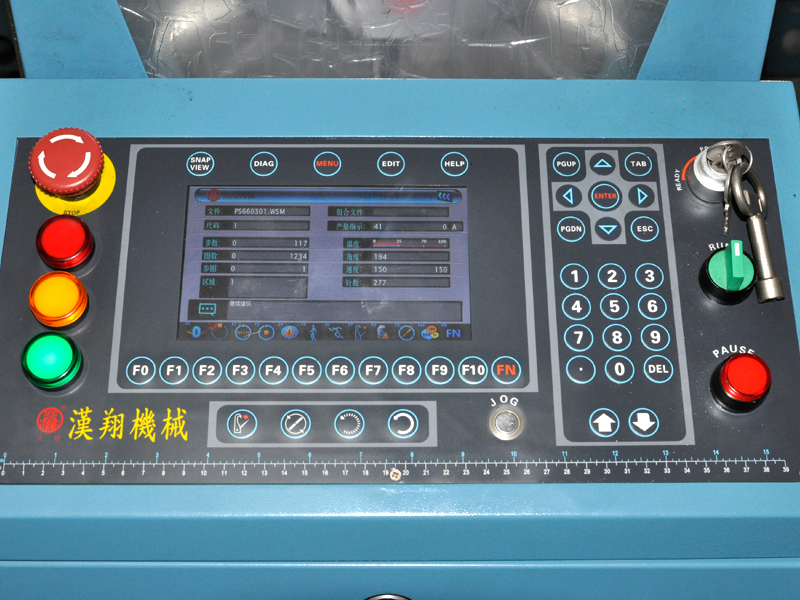 4 Computer control system can drive at most 6 ways of needle, 16 knives and 64 ways of air valve. 5 Pattern and program data can be input/ output by disk. 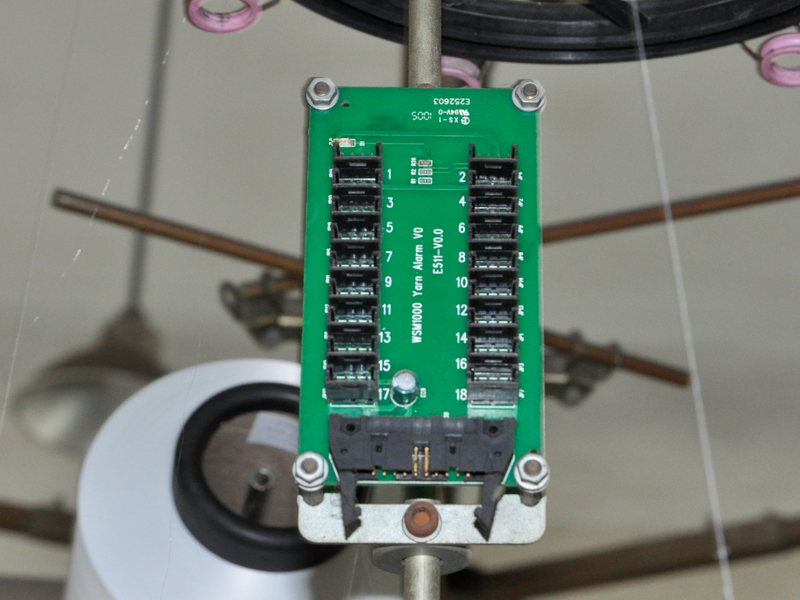 6 Equipped the UPS system can memory the current program and knitting action if transience power off. When the power restored, it can continue knitting to avoid any loss or wastage. 7 Password-protection for parameter setup, to avoid the inadvertent change or unallowed modification, improve the reliability and safety. 3 Stitch density: The stitch cam have enter and exit work position function.can knil multiple feeders pattern,also have work status test function and machinc in abnormally starus shall auto-stop and alarm. 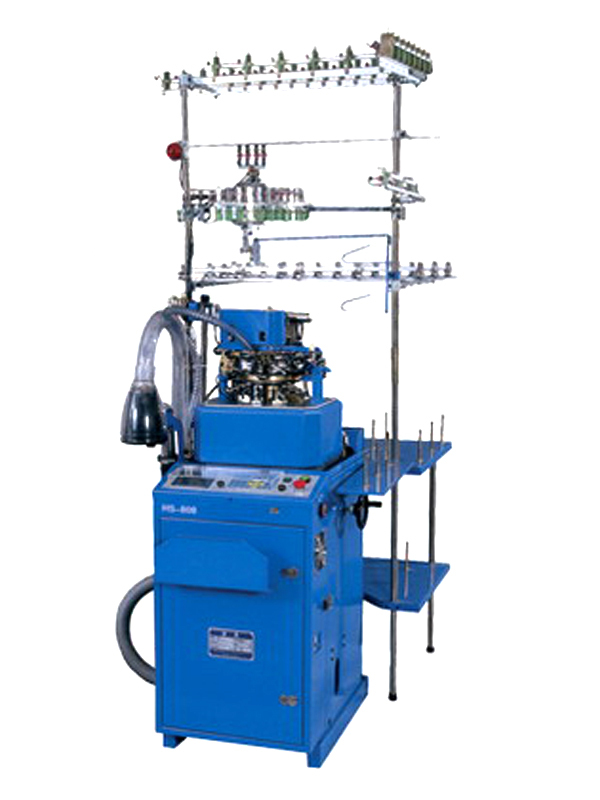 Adopt cam and air cylinder to achieve the stitch adjust without interval. 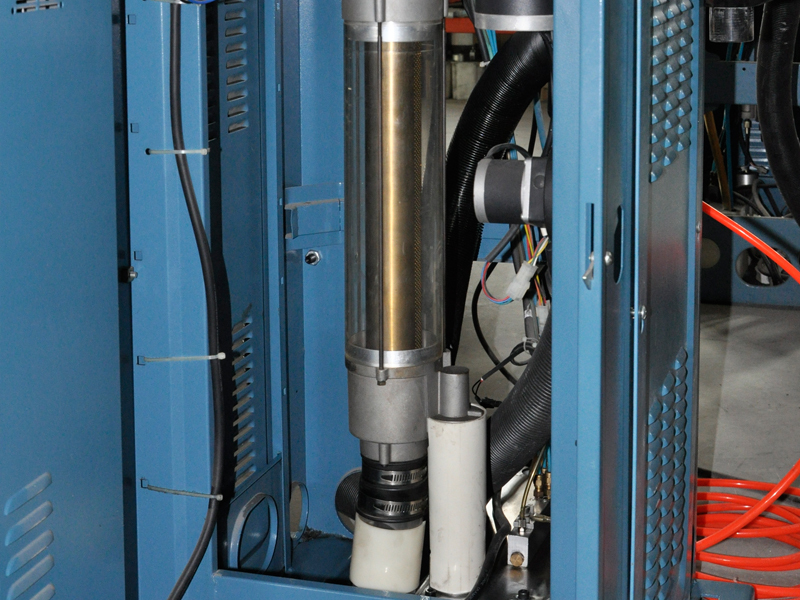 Machine equip the high speed stcpping motor will achieve the 3D function. Cylinder up/down; the cylinder rise and fall eontrol by stepping molor, which can substantially adjust the stitch density. The cylinder height position shall decide the stitch density basis value. 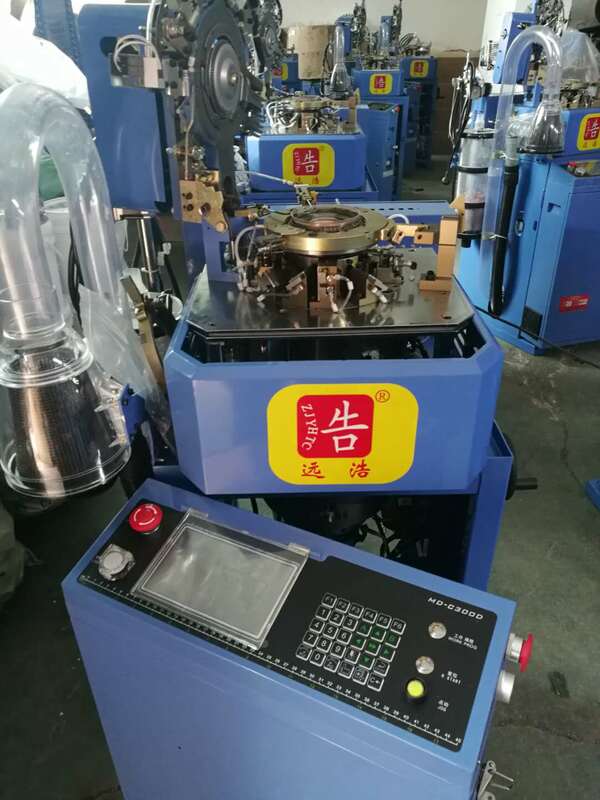 5 Lubricate: Lubrication by mechanic control, which lubrication during macking revolution,because the pantyhose machinc is high speed runing and must continuous lubrication when machine revolution,which control the temperature rises and reduce the machine abradc. 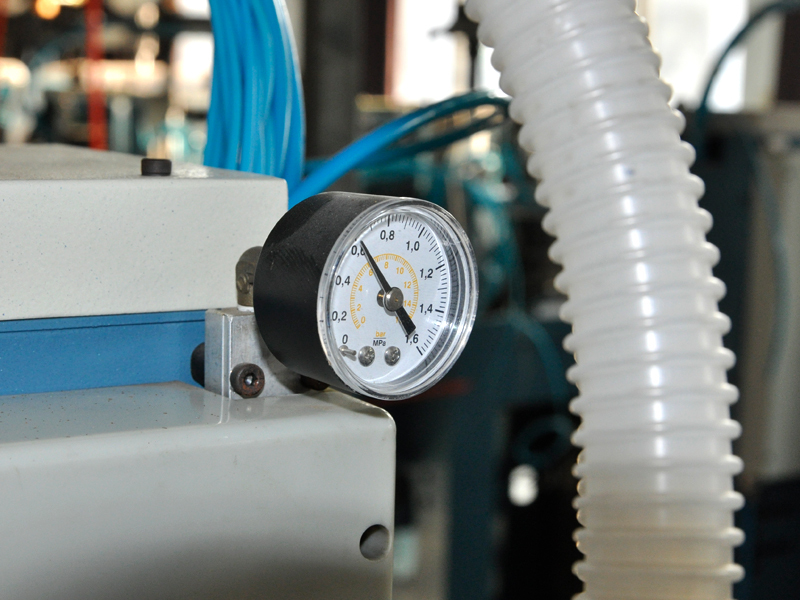 6 Air compressor: To have functions of drainage.air pressure adjustment and alarm or lack air pressure. 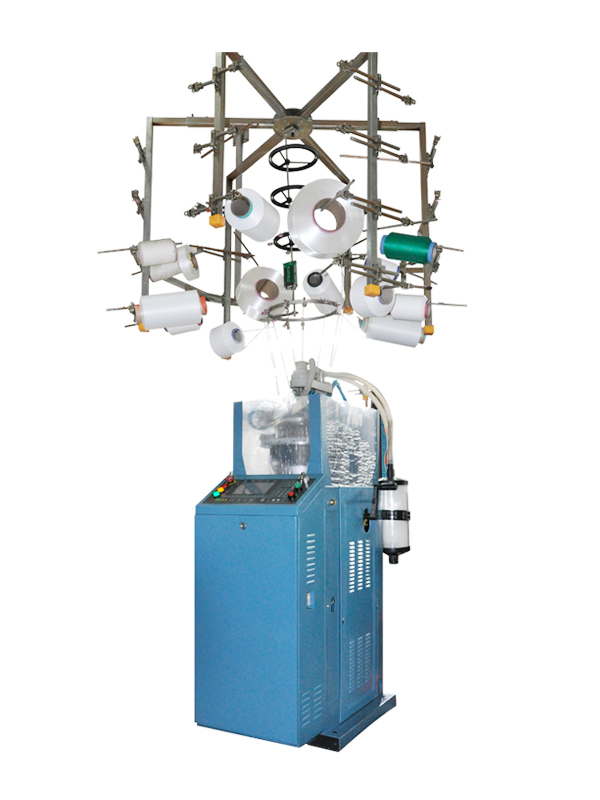 7 Yam feede: 4 feeder, each feeder with 6-8 yam fingers and each finger with 2 work positions.Change yam finger by pneumatic control, cach yam finger with high and low 2 work positions,the yam figer can move to left or right and knit the jacquard pattem. Whole yam finger device can bottom over, which easily for maintenance. 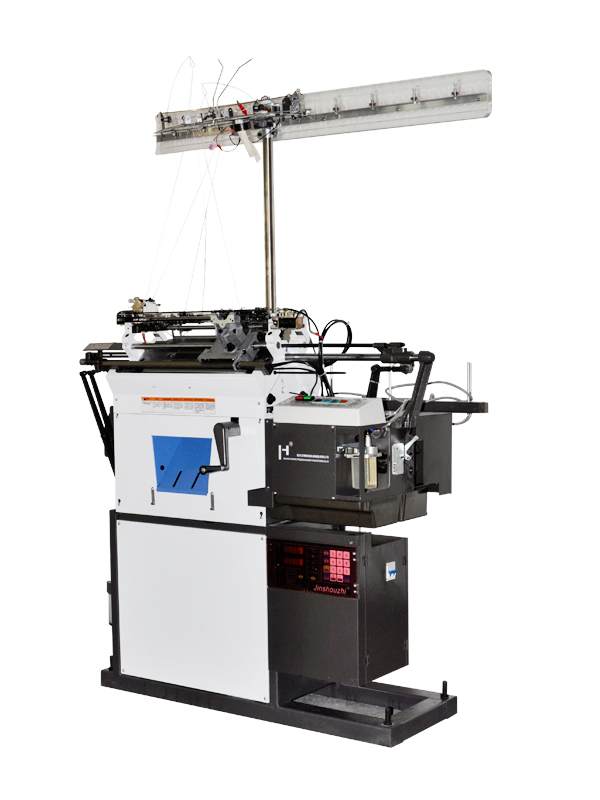 8 Drop hood: Control by 2 stepping motor though rough adjust the 2sets cam position with stitch press cam to achieve the fabric stitch density adjustmen, mainly uscd to achieve the take down width for knitted rib pattem.Another stetting molor can adjust the posifion of dropt hood. 10 Take down:The take down device control by suction and structure simply,enable the knitting fabric pulling foree even ahd without spoil the fiber of knitting fabric.The resist twist device prevent the twisting for wrinkle during knitted the fabric with hosicry tube bring the proportion rub and damage the fabric,which cnhancc the fabric surface quality. 11 Manual operation: Adopt fold type. 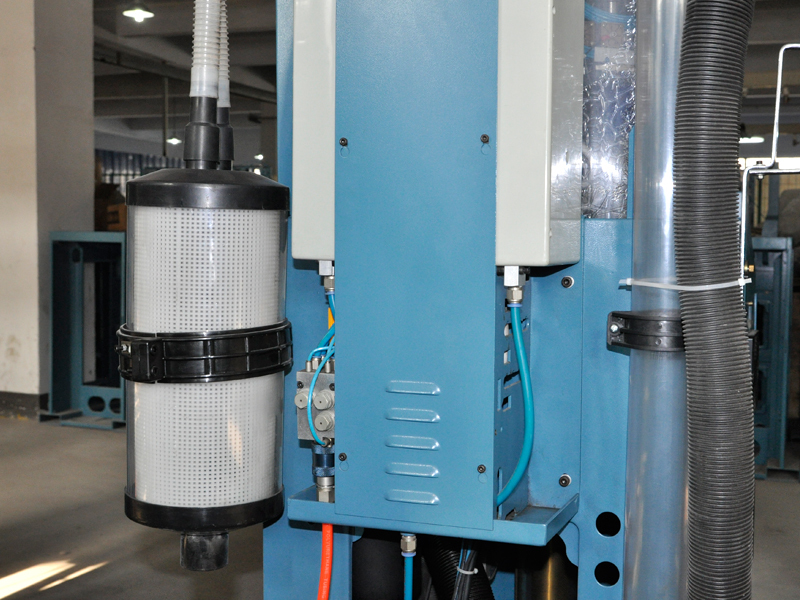 which easy to maintain.the limit position protect control by pneumatic: I Ensure during the machine revolution will not use the manual operation; 2 During use the manual opcration, machine will not use the motor driven. 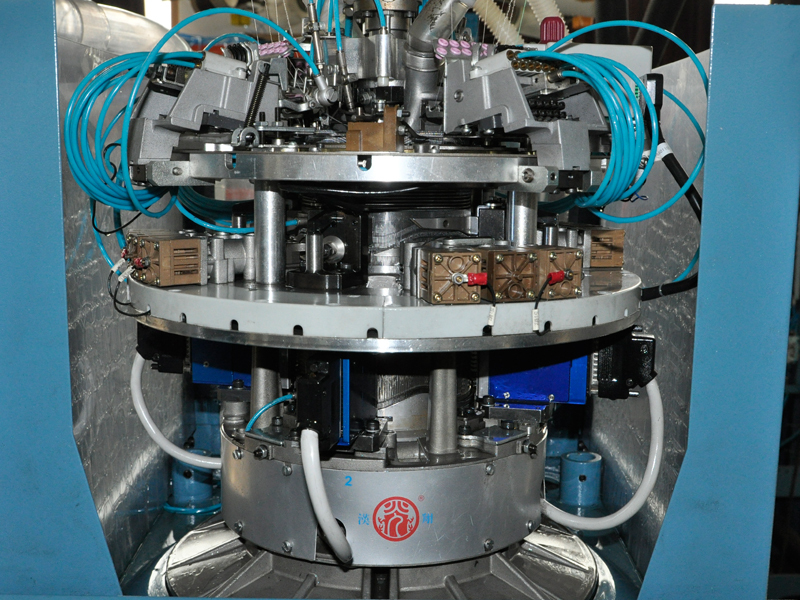 For a long journey, our company always use wooden packaging machines, and use screws machine 4 feet, making the machine minimize the degree. Our company adopts two points of the container, 20 feet and 40 feet. 20 feet can hold 12 machines, 40 feet can pack 34 machines.